This property is located in a very quiet, sleepy town, which was wonderful for us. We were there in the off season, but still plenty of good restaurants and a few shops open. We considered staying in Rethymno, which is a relatively big and busy place. Glad we didn't as Marco's place was a short 20 minute drive and so much quieter. It is an authentic Greek home, which is what we had hoped for. 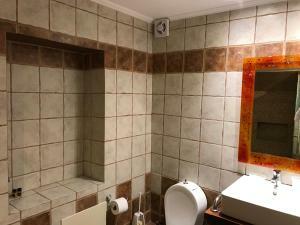 We liked that there were two bathrooms, both of which are updated to current style and standards. Marcos had a drawer full of food/treats for us upon arrival, which was very thoughtful. Great location between east and west end of the island. Marcos was very helpful and accommodating! Great host and wonderful place to be. We spent a couple of nights in the Hyacinth apartment during September. We had a spacious place with nice bath and balcony. The apt. was a wonderful renovated building of traditional architecture nicely decorated and fully equipped. The great breakfast we had was mainly from local products. You will find several interesting activities and sightseeings in the near area that are close. We enjoyed Markos company over the days we are sad we couldn't spent more days in Ydili. Once again a great host in a small paradise. Pretty much everything! This was our third visit to Idili. Great location. Fantastic owner (Markos will help you with anything). Wonderfully tasty breakfast available upon request. Property was typical Creten house which was lovely and spacious downstairs with a fantastic balcony which is where we spent most of our time when not out. The large bathroom was clean & shower very good. Markos was one of the most hospitable hosts we've came across. On arrival we were invited for beer and coffee and later even to an outside meal with his family and freinds which was a great experience meeting lovely friendly people. Markos is a lovely man who really cares about you enjoying his property. Maria’s breakfast was great. Genuinely lovely people. We also loved the beautiful garden. The village is superb. Great local restaurants and not so touristy yet. 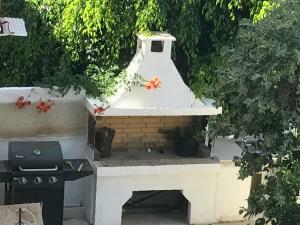 We loved the location, the typcial Cretan house, Maria's lovely breakfasts (wonderful cheese pastries) the Cretan tea and the overall welcome from Markos. Thank you! This place is great. The owner Markos and his wife Maria is unbelievably friendly. Their English is not good but they really make an effort. Maria prepares the breakfast and she will fit it according to your needs. Idili guesthouse is really cosy and placed in the middle of the idyllic town of Panermo. A lot of good tavernas within walking distance. Our very best recommendations! Lock in a great price for Idili – rated 9.6 by recent guests! Located within 350 feet from the beach of Panormos, the stone-built Idili Hotel is 250 feet from the village center with taverns and shops. 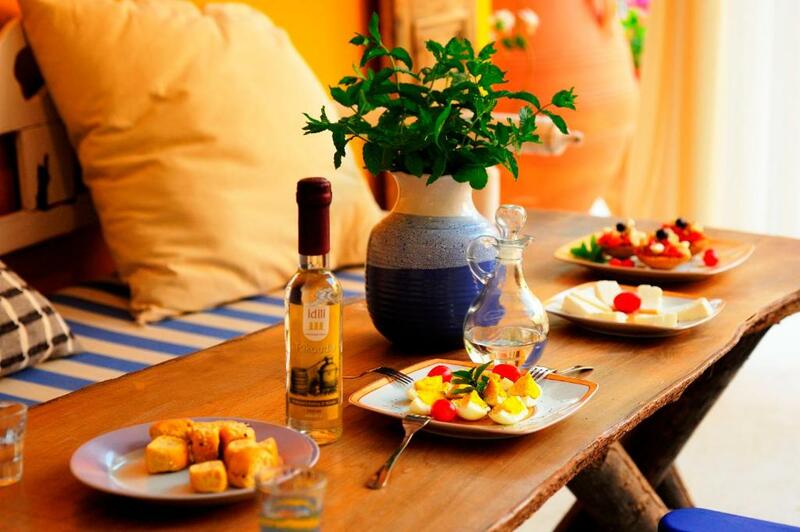 It features traditionally decorated apartments with free Wi-Fi and furnished balcony overlooking the Cretan Sea or the courtyard. Featuring Venetian-Cretan architecture with arches, stone walls and wooden ceilings, all apartments at the Idili have a kitchenette with cooking facilities, fridge and dining area. Each has a seating area with satellite TV and DVD player. Some units feature a fireplace. In the winter, you can enjoy home-made meals at the property, upon request and at an extra charge. The scenic town of Rethymno is 14 mi away. Heraklion City is at 37 mi. Guests can visit the historic Arkadi Monastery within a 20-minute drive. When would you like to stay at Idili? 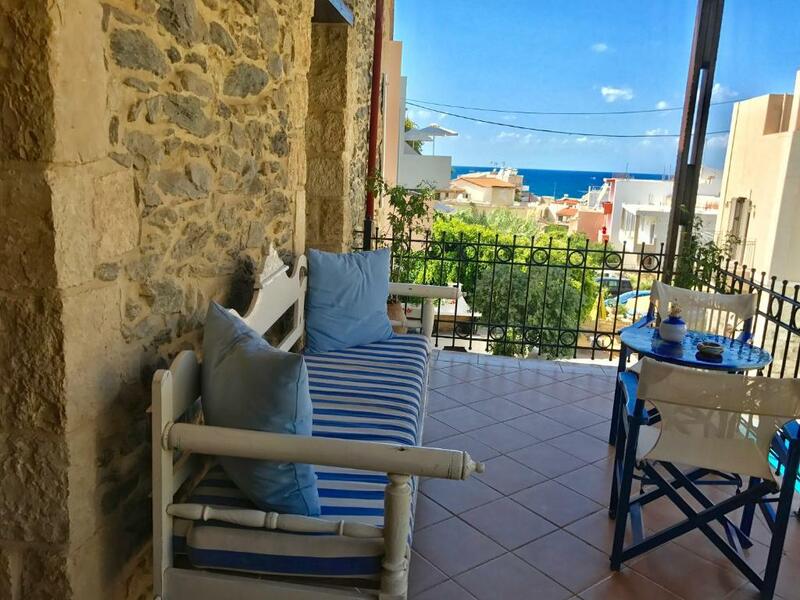 Just 100 yards from the beach, this traditionally decorated apartment offers free Wi-Fi and furnished balcony overlooking the Cretan Sea or the courtyard. 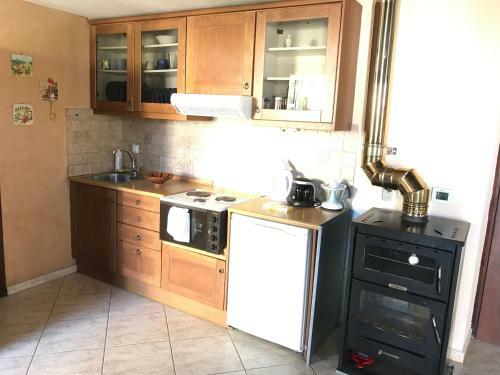 A kitchenette with cooking facilities, fridge and dining area is included. 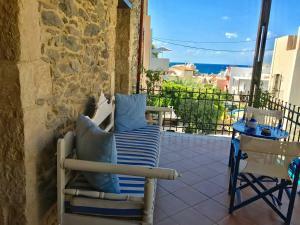 Spacious, traditionally decorated apartment just 328 feet from the beach, offering free Wi-Fi and furnished patio with partial views to the Cretan Sea. A kitchenette with cooking facilities, fridge and dining area is included. Features a seating area, kitchen and bathroom on the ground floor and a bedroom with iron bed and mosquito net on the first floor. The two floors are connected with an interior wooden staircase. Ο Ξενώνας είναι ένα ιστορικό κτίριο που κτίστηκε στο τέλος του 19ου αι. Τις πρώτες 10ετίες του 20ου αι. λειτούργησε ως Ειρηνοδικείο, Πανδοχείο, Ξυλουργείο, Κατοικία του σημερινού ιδιοκτήτη. Κηρύχθηκε Διατηρητέο κτίριο και λειτουργεί ως Ξενώνας. About Idili Traditional House Το ταξίδι σου στην Κρήτη... Στη διαδρομή σου θα συναντήσεις τις ομορφιές της, θα αφουγκραστείς τη φύση της, θα γευτείς τα προϊόντα της, θα μιλήσεις με τους ανθρώπους της! Φιλοξενία, αρχιτεκτονική κτιρίου, παράδοση, χρώματα κι αρώματα, γεύσεις, ονειρικός συνδυασμός με εναλλαγές αισθημάτων και συναισθημάτων. Αυτή είναι η διαμονή σου στο ΗΔΥΛΗ! Μνημείο της ιστορίας και του πολιτισμού του τόπου. Οι στόχοι μας αυτοί υλοποιούνται με τη διοργάνωση εκδηλώσεων στους χώρους του ξενώνα, όσο και στην οργάνωση επισκέψεων με τους επισκέπτες μας που το επιθυμούν. Στον χώρο υποδοχής του ξενώνα φιλοξενούνται συχνά Εκθέσεις ντόπιων Καλλιτεχνών. Είναι επισκέψιμες και μπορείτε να δείτε Πίνακες Ζωγραφικής, κατασκευές papie, Κεντήματα από την παράδοση του νησιού, έργα Αγγειοπλαστικής. Ενδεικτικά αναφέρουμε: 	Επισκέψεις και ξεναγήσεις σε Λαογραφικά Μουσεία. 	Μουσικές βραδιές, Παρουσιάσεις της πανάρχαιας τέχνης της Αγγειοπλαστικής από καλλιτέχνες αγγειοπλάστες, Βραδιές γευσιγνωσίας με παραδοσιακά εδέσματα. House Rules Idili takes special requests – add in the next step! Idili accepts these cards and reserves the right to temporarily hold an amount prior to arrival. Please inform Idili of your expected arrival time in advance. You can use the Special Requests box when booking, or contact the property directly using the contact details in your confirmation. Can’t think of anything that we didn’t like. Upstairs was a bit dark & took a bit of getting used to but that's part and parcel of going to a typical Cretan house so it's not really a negative just an observation. We had a fantastic stay, everything was perfect, the location, the apartment's facilities, the charming balcony, the owner's hospitality. If we return to Crete we will be staying there again. The bed was too small for both my husband and I, either a full or queen size bed. Since it was also way too firm for me (I've found this to be true for most beds in Greece so far), my husband slept in the bed and I slept on the sofa, which was considerably more comfortable for me. You can hear the traffic on the main road. Not recommended with very young children; the appartment is super cosy, but old and not very practical (one bedlamp, stairs, low roofs) and not very clean; old bathrooms and sanitairy ( I am a cleanfreak though). Besides we had to ask to put the electricity on to get hot water, this was due to the bad weather; no natural heating. Nada - everything full filled our expectations. The beaches of Panermo is not top notch quality - but still acceptable. We've just returned from a 7 night stay at Idili. It was amazing! Markos and Maria are the perfect hosts. Always friendly and smiling and can't do enough to help you. We arrived much earlier than planned and whilst we were happy to explore the village for a few hours, Maria rushed around to make sure our apartment was cleaned promptly within an hour. We stayed in Hyacinth, which was a delightful split-level apartment with large balcony overlooking the beautiful garden. There was ample space for storing clothes and the kitchen was more than adequate to cook up a meal. That said, there are so many amazing restaurants and tavernas just minutes walk away, that we only cooked once! When we were there the temperatures hit the mid 40's so the air conditioning was a Godsend. We were made a delightful breakfast by Maria on our last morning. Fresh tomatoes, omlette, breads, honey, cheese pies, meat, the list goes on.... all served with a smile in the garden. So tasty. So relaxing! We are already planning our return trip for 2018!